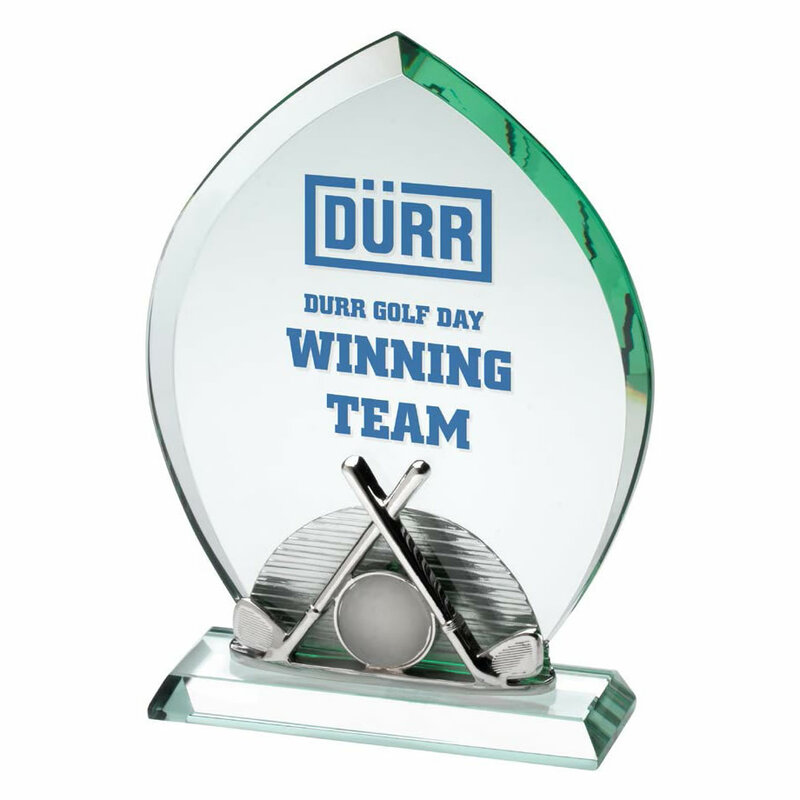 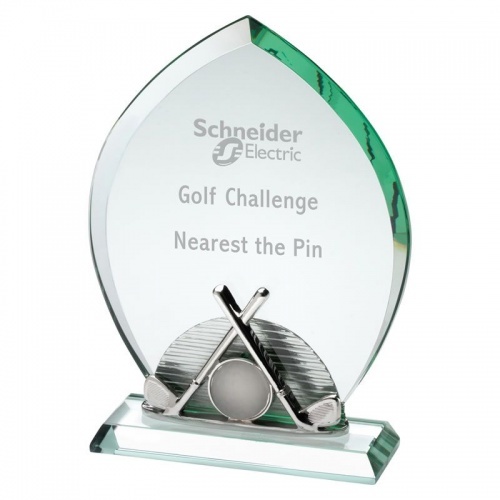 These stylish golf plaque awards feature a jade glass plaque with bevelled edges and pointed peak, with a silver finish metal pair of golf clubs at the foot, on a bevelled base. The flat front of the glass plaque offers a large area for engraving, and colour printing is also available for this award. 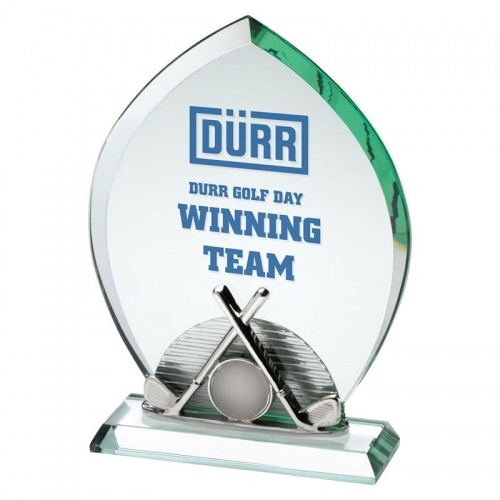 Available in three sizes, each glass golf plaque are supplied in a quality presentation case.